Thrive Therapy and Consulting Services take a holistic approach to childrens health and wellbeing. Morgane Guedj Creative were asked to illustrate their five key service areas: Fine motor skills, Gross motor skills, Self regulation, Play skills and Sensory processing. 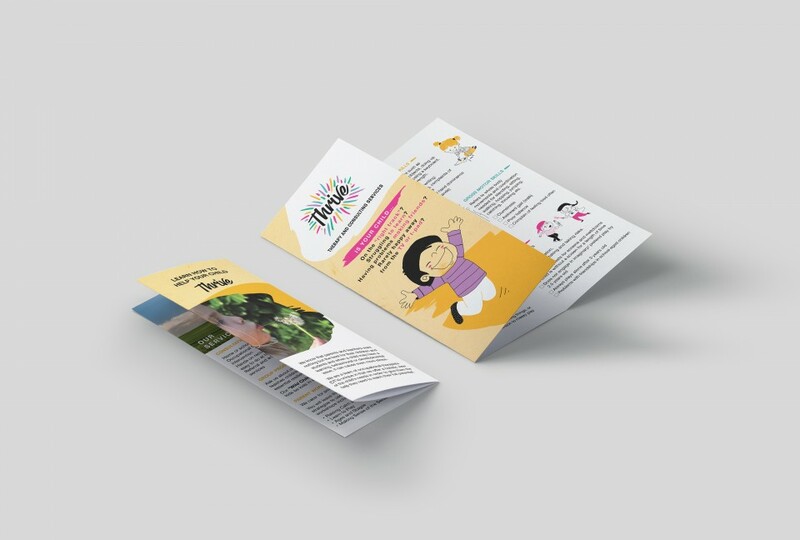 We also created print materials such as posters, brochures and flyers. © 2019 Morgane Guedj Creative.